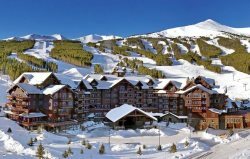 Find a variety of Summit County vacation rentals listed below from ski in ski out properties to luxury options throughout the area. We have rentals in Breckenridge, Dillon, Frisco, Silverthorne, Copper, and Keystone. Planning to return to Summit County again? All return guests receive an additional 10% off their rental! Please mention this special at time of booking. Come stay with us for spring break! Epic snow fall = epic ski vacation!! Stay 4 nights with us until April 20th and get the 5th night free! Book now, we are selling out fast! We are happy to offer a 10% military discount during all months of the year. Thank you for your service! Please mention this special to our staff when booking.